This is now the Bethany Luthern Church, large trees (40+ years), in the distance, Rotary Park (baseball field) and residential homes. 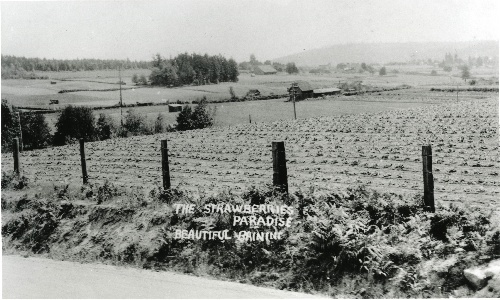 Bainbridge Island has a history of agriculture, many of the farmers were Japanese/American, and many of them specialized in strawberries. 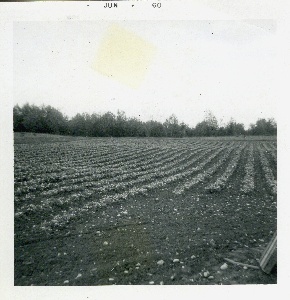 Unfortunately many of these farms have been lost, however, Bainbridge has made significant progress toward preserving not only the history, but the actual farms as well. We'd love to have you take a few minutes to read the following essays. 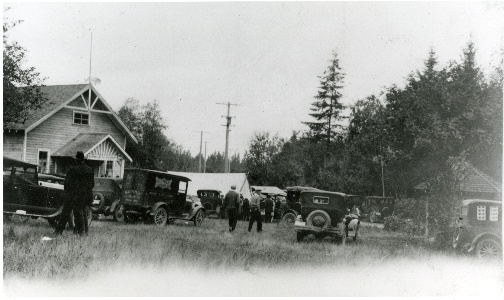 Island Center Hall is still in active use today, though I believe the building has been moved from it's original location. 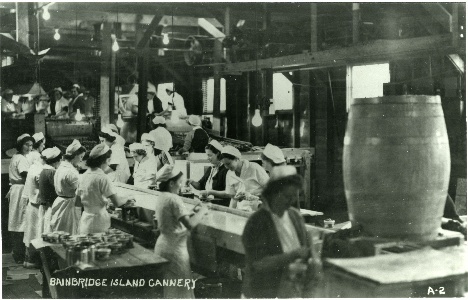 The cannery was gone by the late 1970's.